Questions Save Lives! What question would you ask? 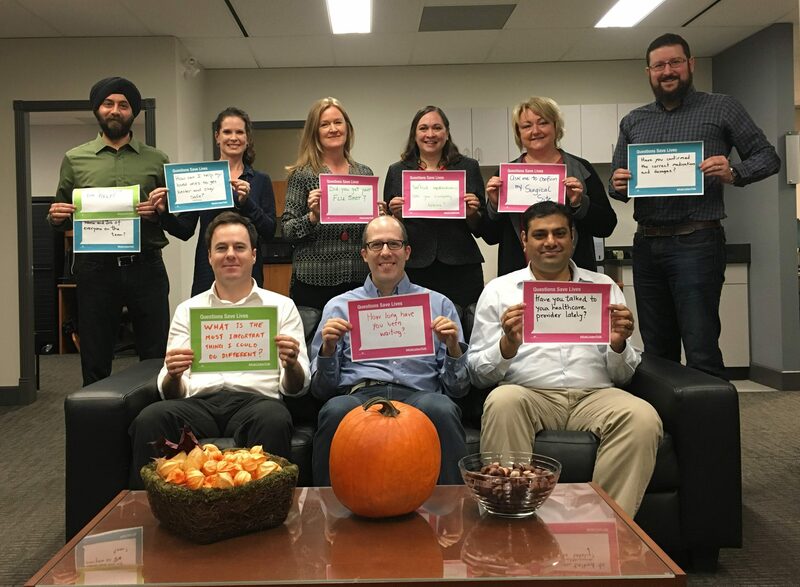 BC Patient Safety & Learning System (BCPSLS) is proud to participate in Canadian Patient Safety Week (CPSW), October 24 to 28, 2016. Along with the Canadian Patient Safety Institute (CPSI), we’re spreading the message of ASK. LISTEN. TALK and joining CPSI to celebrate the providers, patients and families who make healthcare safer in Canada. This year, CPSW focuses on communication with the theme Questions Save Lives. What questions would you ask to improve our healthcare system? Here’s what our team came up with! Join an important conversation on Twitter with the hashtag #asklistentalk on October 28th at 9:00 am PST. Download the Questions Save Lives frame, write down your question, snap a photo, and share it on Twitter. Each year, thousands of Canadians participate in Canadian Patient Safety Week. The Canadian Patient Safety Institute strives to ensure that all Canadians in need of healthcare can be confident that the care they receive is the safest in the world.